Some of the core contributors and partners for 2015 include YouTube, Facebook, BPI, Beatport, DJ Mag, Music Week, BIMM, Point Blank, PRS For Music, PPL, BPI, AIM, MPA, Access to Music, Youth Music, and LNADJ, with more to be announced. This year’s sponsors are Native Instruments, Ableton, Allen & Heath, Audio Technica, Focusrite, Novation, Funktion One, PRS for Music, PPL. Sennheiser, and Next Audio Labs. A full list of exhibitors follows below. 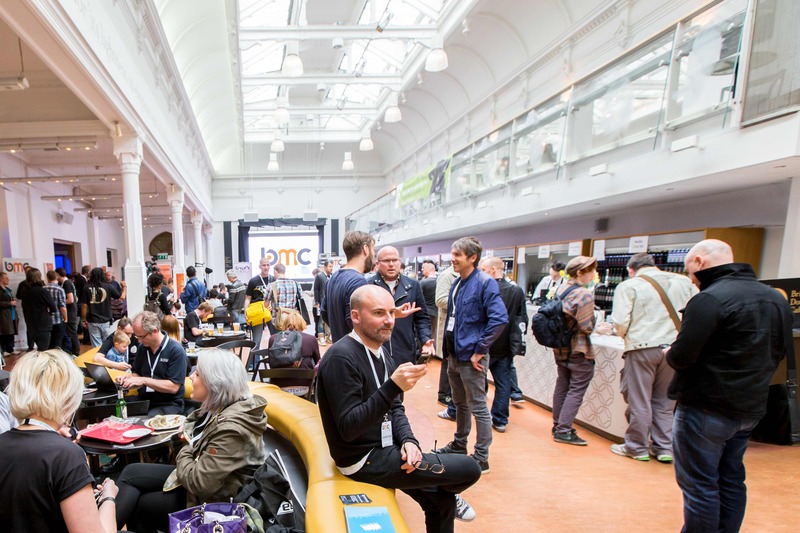 The UK’s only electronic music conference, BMC 2014 was hailed as a groundbreaking success by leading music artists, producers, industry figures and students alike. 2015’s event expands BMC’s unique offering. BMC Professional aims to connect music with business, bringing together industry thought leaders through a series of panels to discuss the future sustainable growth of the Electronic Music Industry, targeted networking events and access to the evening schedule of three nights of events and parties across Brighton, with DJ Magazine hosting the official closing party. BMC Academy is about plugging in the next generation and fostering new talent via a series of master classes, panels and talks. Both tickets give access to a two-day exhibition with tech showcases panels and interviews. BMC’s education partners are Ableton, Native Instruments, Focusrite, Novation, Audio Technica, and Allen & Heath. All of these brands will be holding showcases, while Native Instruments will run a networking event and two educational showcases, with further activities to be announced. Education organisations are represented by BIMM, Point Blank, Northbrook College, Access To Music, Guildford ACM, and DV8. 2014’s event drew representatives from Beatport, Mixcloud, Spotify, Pioneer, Ableton, Funktion One, AEI Media, DJ Magazine and Resident Advisor and many more, who attended and took part in over 70 panels, master classes and showcases. A large number of artists also attended BMC including Above & Beyond, DJ Pierre, Dave Clarke, and Eats Everything. BMC reached a national and global audience, with British dance music fans and industry bigwigs joined by companies and individuals from Australia, San Francisco, India, Mexico, Amsterdam, Norway, Ibiza and Berlin, bringing the total number of attendees to 6500 (2500 to the conference and exhibition and over 4000 to the evening events). BMC’s official charity partners include Youth Music and Last Night A DJ Saved My Life (LNADJ). Youth Music provides more than 90,000 young people with the opportunity to make music each year, helping them to overcome the challenges they face in their lives. Last Night A DJ Saved My Life LNADJs is a charitable foundation creating opportunities for the dance music industry to make a positive impact to the lives of young people and their communities – ‘Changing lives, Saving lives’.